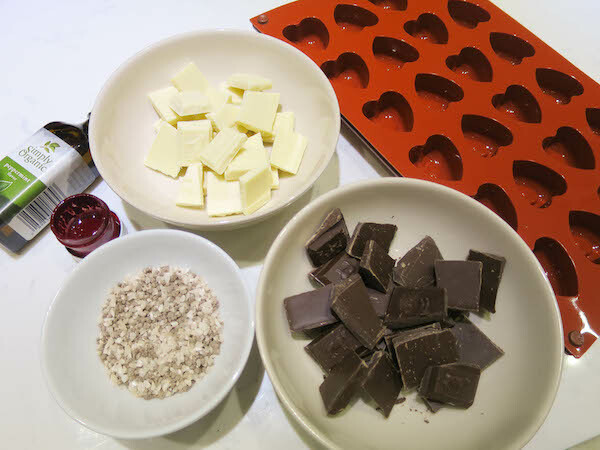 Get all ingredients and chocolate mold ready on your worktop, chocolates chopped into separate bowls. 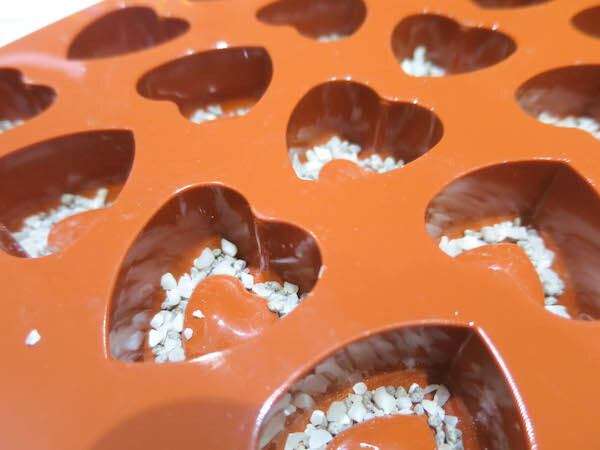 Sprinkle crushed peppermint candies in bottom of the mold or around each heart if the mold edges are deeper. 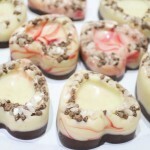 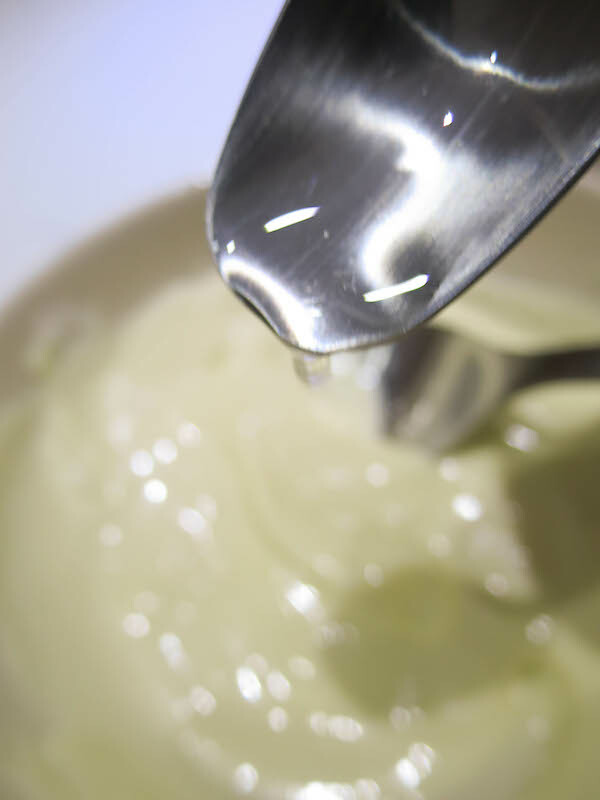 Melt the white chocolate, then add peppermint flavoring and mix well. 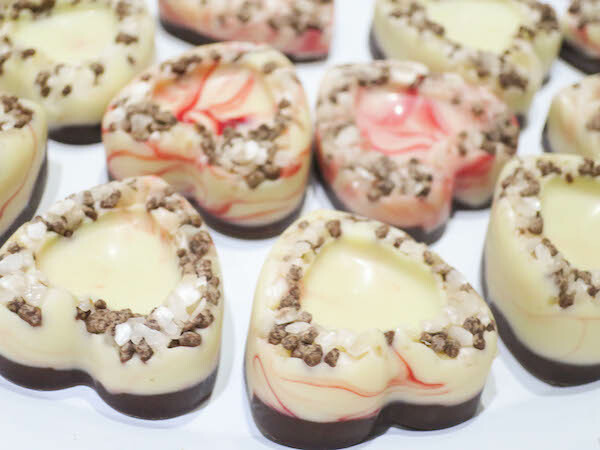 Add some red candy colouring in a piping bag, then add the white chocolate and pipe into the mold filling about 1/3. 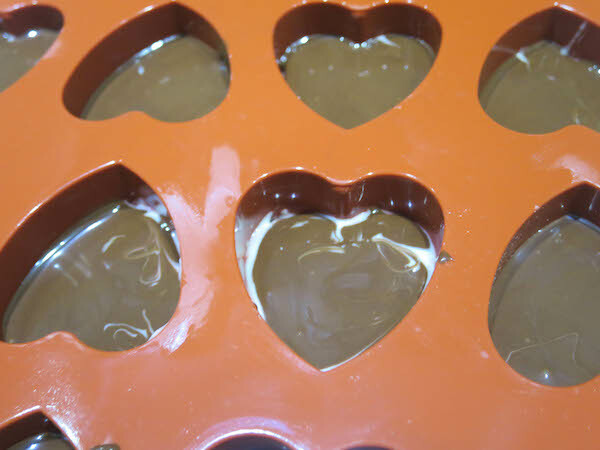 Melt dark chocolate and spoon or pipe into the mold adding a thin layer on top of the white chocolate, you can use a toothpick to gently spread to the edges. 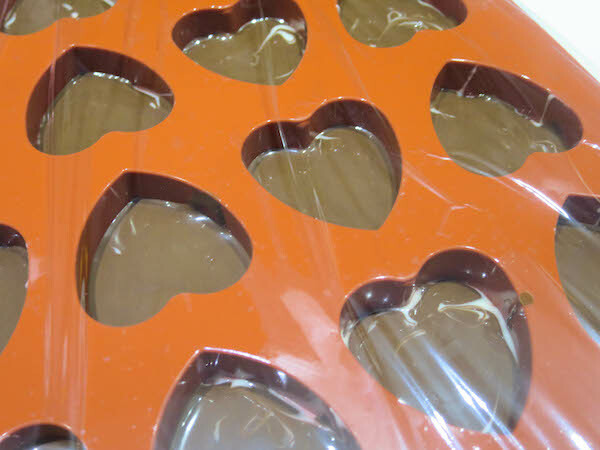 Cover with clingfilm and refrigerate for minimum of 12 hours. 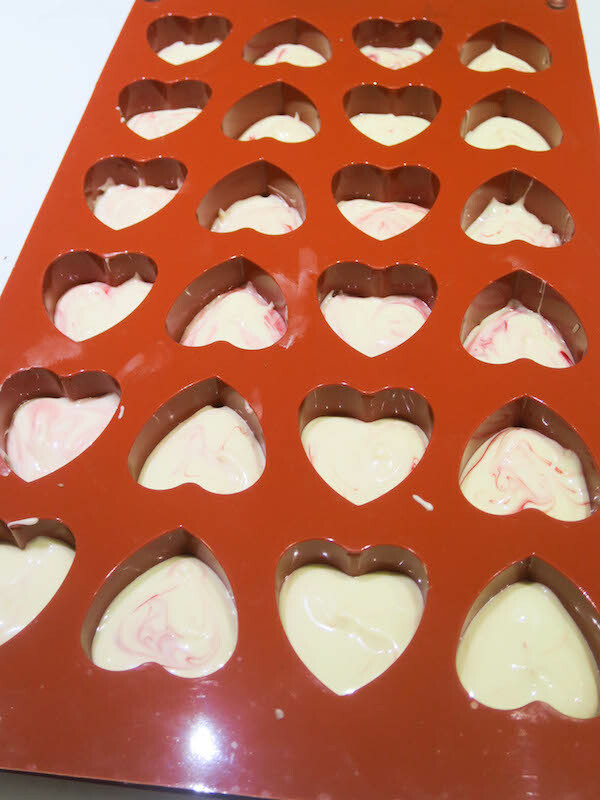 After the chocolate has set and dried, gently remove the hearts from the mold. 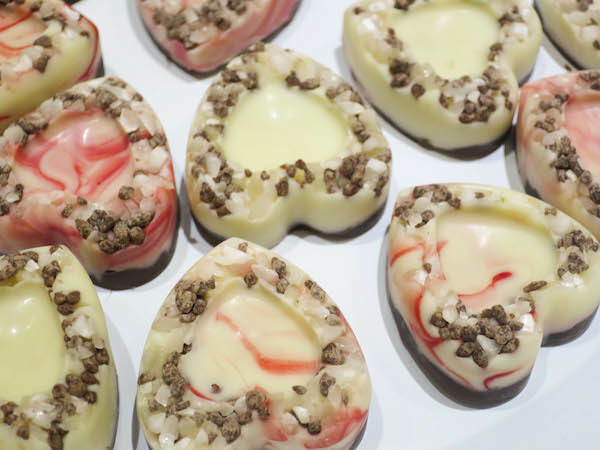 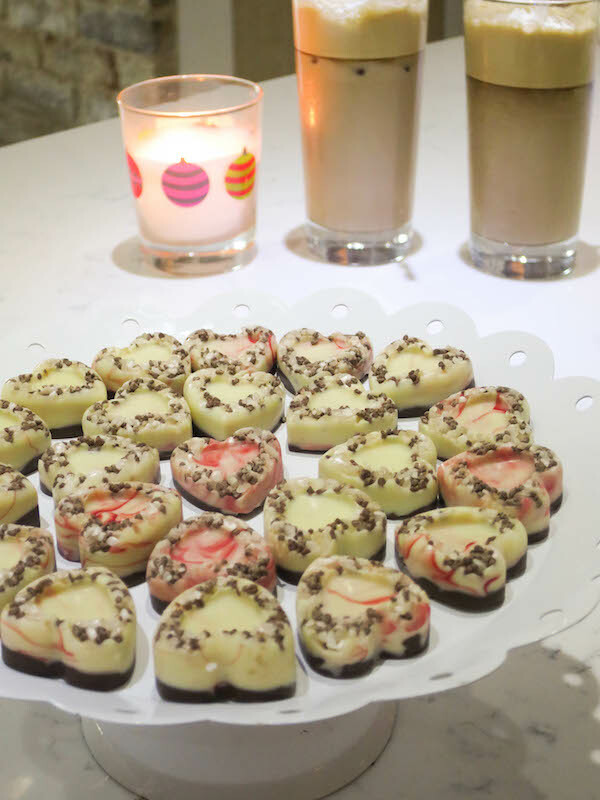 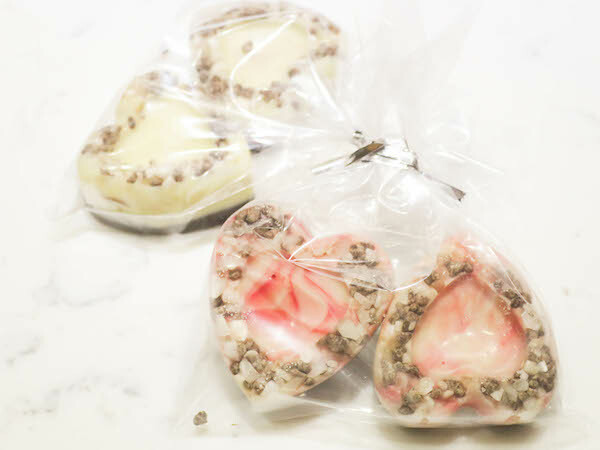 If you do not have a chocolate mold, just layer the crushed peppermint candies, white chocolate and finally dark chocolate on a plate over parchment paper and break into pieces when ready.